We are an owner-operated, light tackle sport fishing charter based in Seward, Alaska. Our primary focus is on light tackle salmon fishing. We begin in April fishing for feeder Chinook (or King Salmon). 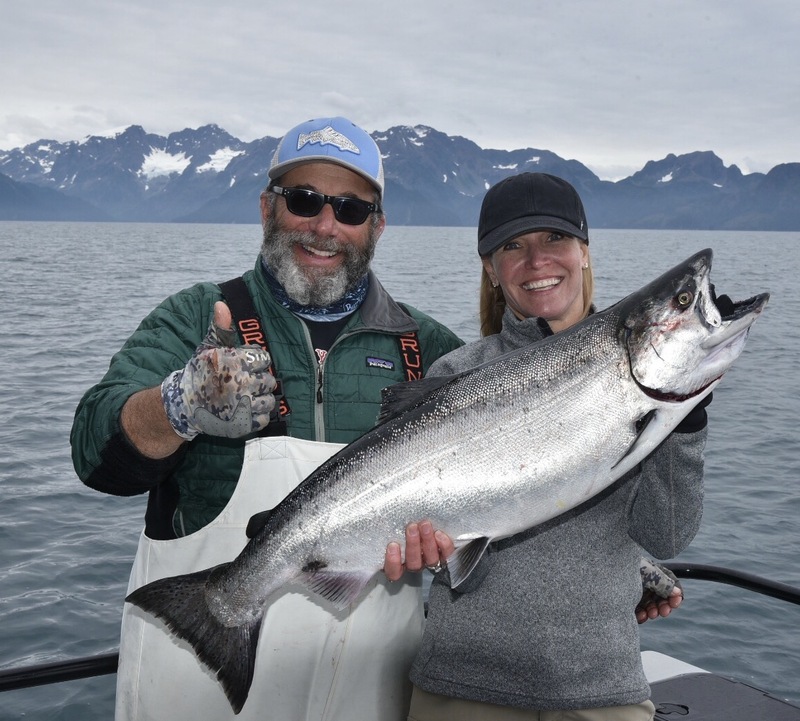 We continue to fish the bays and ocean capes around Seward, until the Coho (or Silver salmon) show up in June, when we then fish for both Silvers and Kings until early September. We also offer a limited number of remote, lodge-based, kayak or vessel-based fishing trips for Salmon, Halibut, Lingcod and Rockfish. Our vessel Gray Light is a new, custom-built DR Radon 32’ fiberglass game boat. The Gray Light is specifically designed for the purpose of taking up to four fishermen on private charters to experience some of the finest Alaskan sport fishing. Your captain and Alaskan guide is Andy Mezirow. For the last 21 years he has been guiding his guests to unforgettable days of Alaskan sport fishing, as well as many IGFA light tackle world records, and numerous tournament wins. Welcome to our website, take a look around and we hope to see you and your small group for a personal, light tackle sport fishing trip soon.